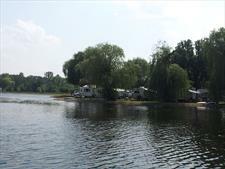 With 120 acres of land Willow Mill Campsite has more than enough space to accommodate your needs. 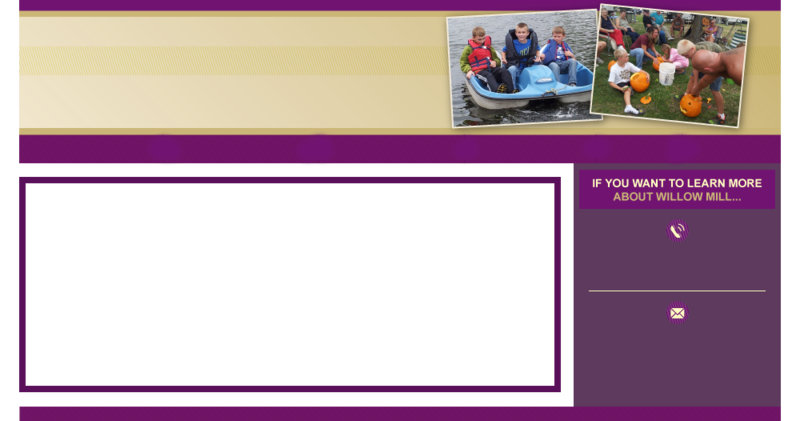 The chart to the right gives a brief explanation of what is available here at Willow Mill Campsite. 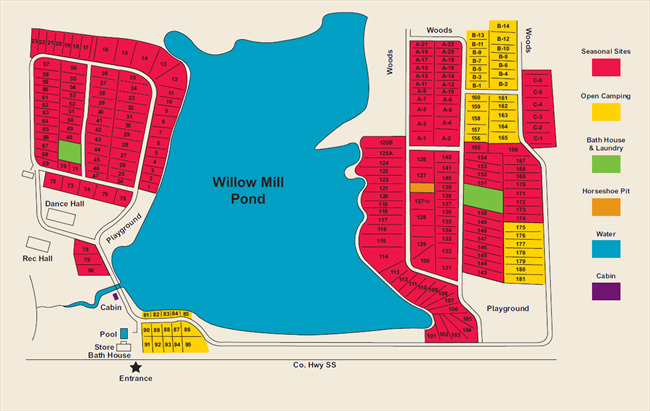 The image below shows a map of Willow Mill Campsite's available sites. The ones marked in red are occupied, those in yellow are open camping. Seasonal sites have access to cable and telephone hook-up. Grass is cut and trimmed by the campground maintenance team. No visitor's fee for seasonal. Campground is pet friendly. Holiday weekends must be paid in full two weeks in advance with a minimum of 3 nights. Click Here to learn more about the local area. Click Here to view our campground rules and policies.